Trio Concertant for Violin, Horn and Piano (1993). Elmira Darvarova (violin), Philip Myers (horn), Virginia Perry Lamb (piano). Recorded live November 6, 1995, Mannes College of Music, New York City. Elegy for Horn and Piano (1995). Philip Myers (horn), Virginia Perry Lamb (piano). Recorded June 27, 1996, Concordia College, Bronxville, New York. (Recorded but never released by Cala Records). Producer and Engineer: Tim Handley. Howard Wall, horn. Recorded February 10, 2017, Oktaven Audio, Mount Vernon, New York. Recording engineer: Ryan Streber. Elmira Darvarova (violin), Howard Wall (horn). Recorded January 12, 2017, Oktaven Audio, Mount Vernon, New York. Recording engineer: Ryan Streber. Philip Myers (horn), Howard Wall (horn). Archival recording, March 27, 1998, Avery Fisher Hall, New York City. 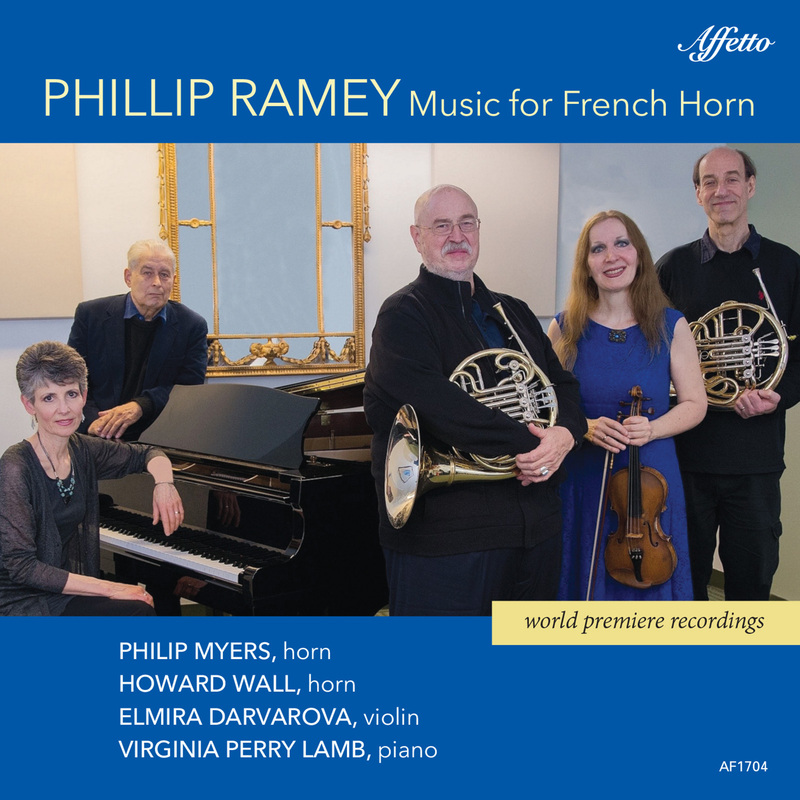 Philip Myers (horn), Howard Wall (horn), Virginia Perry Lamb, piano. Archival recording, March 27, 1998, Avery Fisher Hall, New York City.